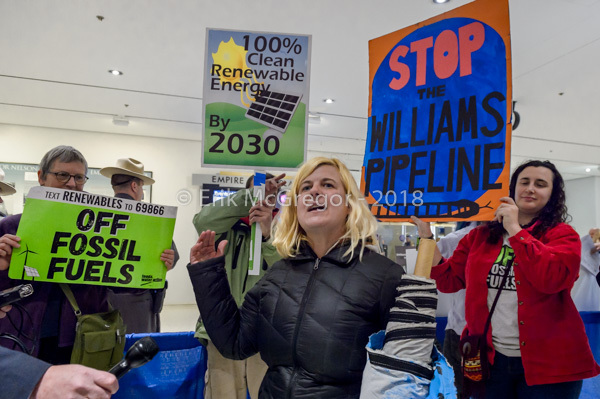 ALBANY, NY – Prior to Governor Cuomo’s State of the State address on January 16, 2019 in Albany, over 100 climate activists swarmed the state capitol to demand that Governor Cuomo and legislative leaders reject fracking infrastructure and move NewYork off fossil fuels by 2030. 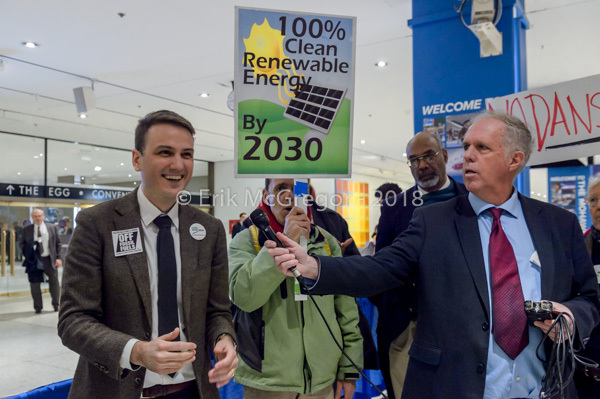 Leaders of the climate movement urged Governor Cuomo to transition to 100% renewable energy across all sectors by 2030, ban the construction of new fossil fuel projects, and embrace a just transition for workers and the communities hit hardest by climate change as part of the green new deal the governor has claimed to support. 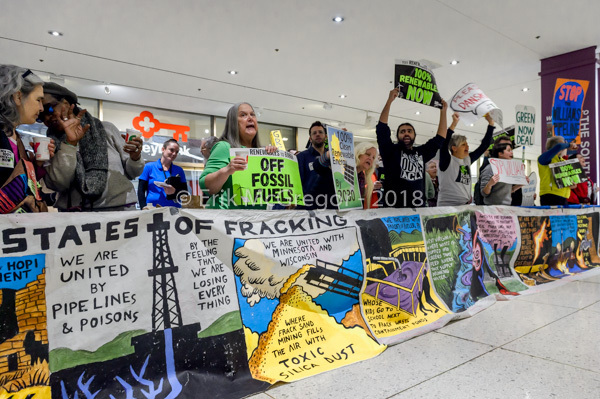 The activists also delivered a letter from more than 160 organizations urging the Governor and state legislature to make climate action a priority. “We human beings are the land and water because of what we eat and drink. 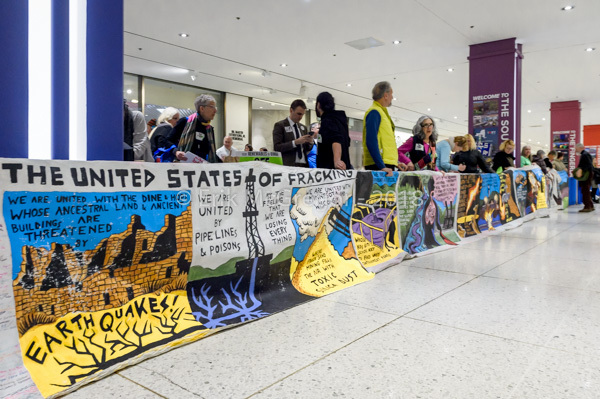 Poisoning the air and water through fossil fuels, uranium mining, waste and nuclear power is poisoning ourselves. As a member of one of the original people of New York, the Ramapough Lenape Nation, looking forward to New Yorkers helping Governor Cuomo lead NY on a truly renewable path of energy and respect for the environment in 2019,” said Owl, member of Ramapough Lenape Nation. 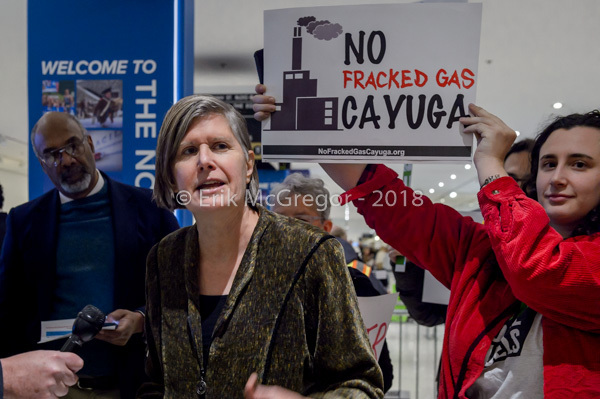 “As a resident of Peekskill, I live one mile from where the Spectra Enbridge ‘Algonquin’ Pipeline runs under Indian Point Nuclear Power Plant. I’m appalled that the Governor continues to talk about acting on climate change while building out fracked gas infrastructure in New York. 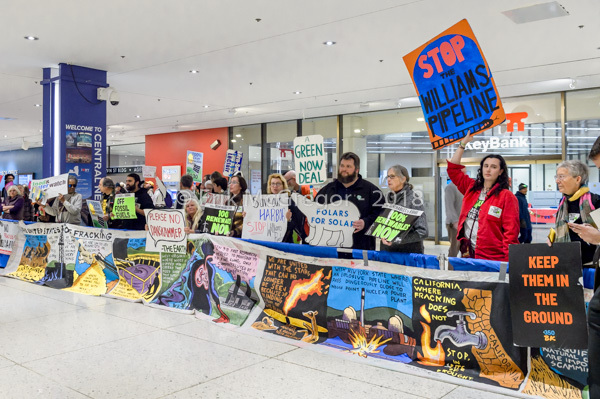 We cannot meet these climate goals by relying of fracked gas,” said Courtney Williams, who serves of the City of Peekskill Conservation Advisory Council and has been fighting the AIM Pipeline. 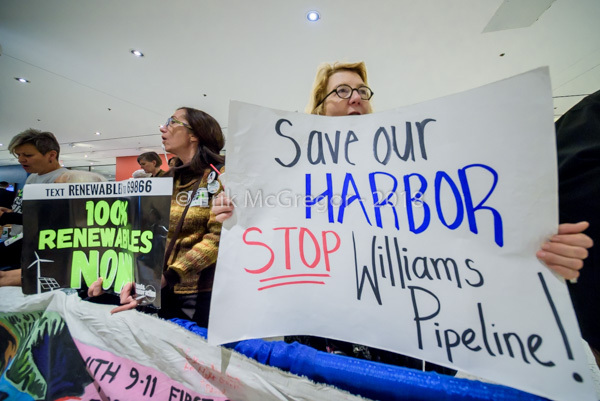 “Governor Cuomo talks a good game on climate change, but we’re demanding results. We’re already living with the chaotic effects of climate crisis, and we don’t have time for empty rhetoric or half solutions. 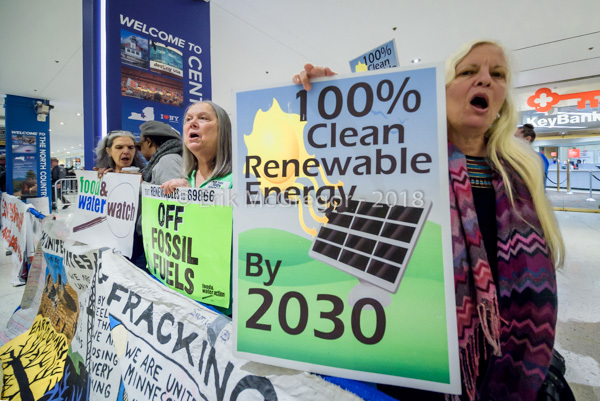 Any serious effort to address climate change must immediately halt new fossil fuel projects and move New York completely off fossil fuels by 2030,” said Alex Beauchamp of Food & Water Watch. “The warning by the IPCC that the world has 12 years to take action to avoid catastrophic climate change has been a critical wake-up call. 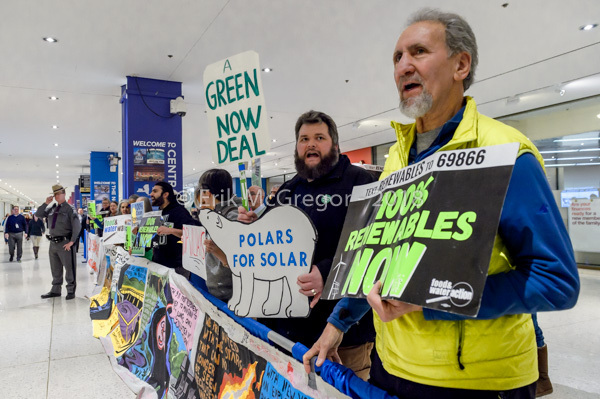 It has been inspiring to witness the push by Rep. Alexandria Ocasio-Cortez for a Green New Deal with its combined goals of 100% renewable energy by 2030 along with economic justice. 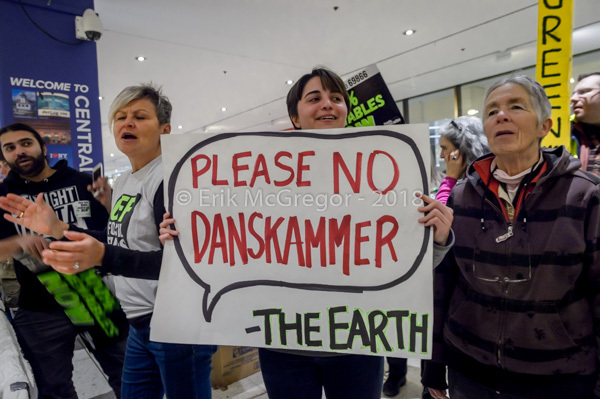 We hope that Governor Cuomo and state legislators will enact a real Green New Deal in New York, starting with an immediate halt to any further fossil fuel build out,” said Mark Dunlea of the Green Education and Legal Fund.